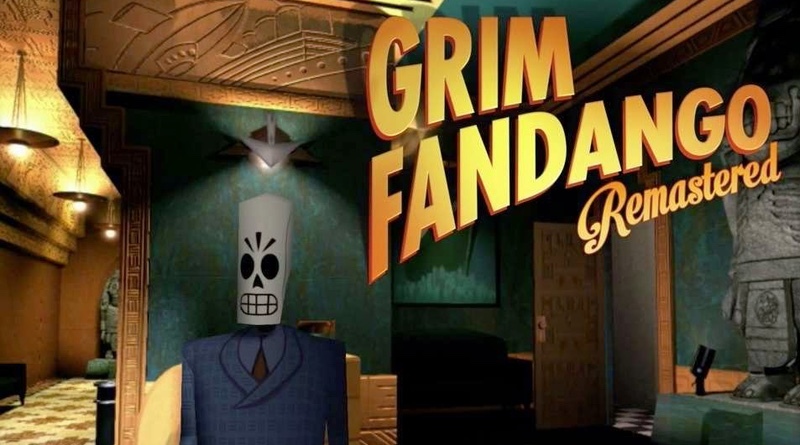 Grim Fandango was one of my favorite PC games back in the late ‘90s and when I learned of its arrival on the Nintendo Switch, I was simply dying to play it. Set in the Land of the Dead, the game features Manny—a down on his luck grim reaper desperately searching for a rich client that will help him work off his debt. Created by some of the same folks responsible for other LucasArts point-and-click adventures, this one stood out at the time for its use of 3D graphics and excellent voice acting. The graphics needed an overhaul for the latest systems, and that’s exactly what we have here. The hilarious opening cinematic seamlessly transitions into the game, which begins with a mass poisoning. Manny isn’t impressed, but reluctantly heads to the case only to experience numerous setbacks and obstacles along the way. The adventure truly begins after Manny successfully steals the client of one of his rivals. After meeting a woman named Mercedes Colimar—who should qualify for the best afterlife package but somehow doesn’t—he grows suspicious. Something rotten is afoot in The Land of the Dead. So begins an amazing afterlife adventure. Like the many point-and-click adventures that came before it, Grim Fandango tells a story through puzzles, cutscenes and interaction with the environment. The game is more interactive movie than video game, really, although you’ll have to really think to figure out the many conundrums. Various characters interact with Manny throughout the game, providing hints for puzzles, moving along the plot and injecting humor into the majority of the game. The graphics knocked me dead in some ways, but left me flat in others. Sure, they look great on my Switch, but the outline of the polygons is still visible in some ways. The game does feature smooth graphics, great color blending and amazing backgrounds as well as terrific character designs. The Land of the Dead still looks good with its unique blend of mythology and architectural elements. The graphics in both Original and Remastered mode reflect the noir style of the game quite well. The animation is where Grim Fandango shows a few of its flaws. Animation was smooth and high quality overall, but there were a few scenes where I experienced some glitching. Most notably was a scene in Rubacava (in Year Two) when Manny is speaking with club proprietor Olivia. As the scene is playing back, Olivia keeps jittering up and down. Similarly, Manny has some animation issues toward the end of the game when he returns to the city. The scythe also experienced some stuttering. Thankfully these were few and far between and I didn’t notice many other issues with the animation during my playthrough. Play control is much better than in the PC version. Gone are the old tank controls, replaced with normal movement. However, Manny is still slow even while running and I found myself holding down the run button for most of the game. There are a few areas where interacting with an object has to be incredibly precise, which deflates some of the fun from the puzzles. The music is one of the greatest soundtracks I’ve ever heard in a video game. It’s lush at times, dark at others. It can be orchestral when needed, with bits of jazz and mariachi blended together. The soundtrack is a work of art in and of itself. One could easily listen to the soundtrack independently of the game and still find great enjoyment and even relaxation in its smooth, noirish tunes. The voice acting is just as killer in the remake as it was in the original. Manny delivers his lines with a dry wit, Glottis is hilariously over enthusiastic and Meche displays a full range of emotion in her few appearances in the game. The ability to have meaningless conversations just to interact with the other characters in the story are highlights. All of the additional cast performs their roles well and in a believable way. Listening to them speak, it’s plausible that you’re speaking with a grizzled, old sea captain, a sleazy lawyer and a heavy-handed mobster. It’s absolutely superb and holds up all of these years later. The puzzles aren’t terribly difficult and the game flows well. It’s worth playing through in both original and remastered mode. The humor is irreverent, the music is great and the game is a blast. The ideas in this game are unique as well. The simple fact that the Dead can be “killed” by sprouting flowers in their bones is downright clever. This plays significantly into the story in a meaningful way, on top of being visually spectacular. The game ends on a high note and I can definitely see myself revisiting the Land of the Dead with my old pal Manny Calavera at least once every year around Halloween for a long time to come. As the mortician astutely says, “We may have days. We may have hours. But sooner or later, we push up flowers.” Don’t wait around to play this one, put it at the top of your backlog and get to it today! Grim Fandango is a fantastic remake of a PC adventure classic and well worth playing on the Nintendo Switch. You can enjoy it on the go or at home on the TV and it’s a perfect game to play around this time of the year. Every point-and-click adventure fan should pick this one up.